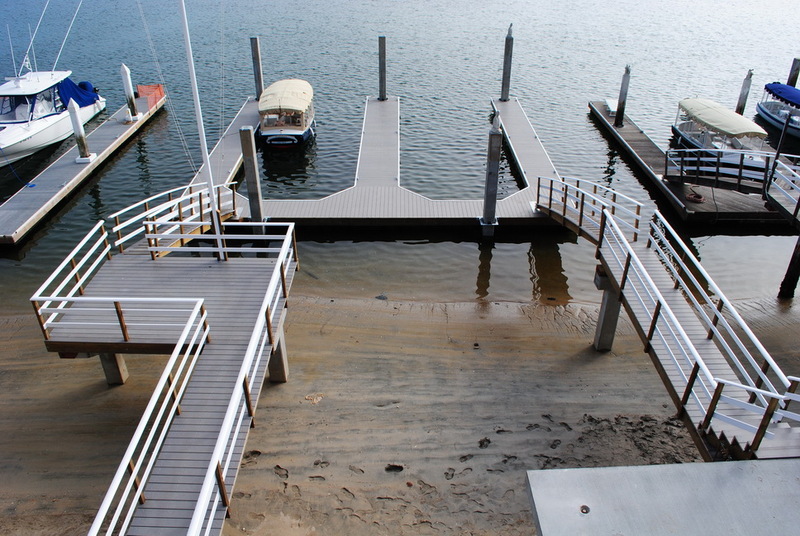 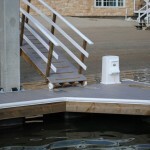 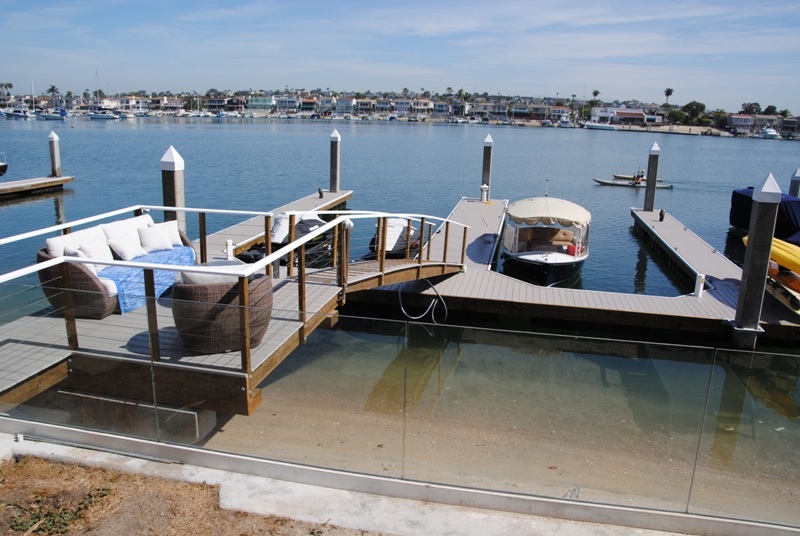 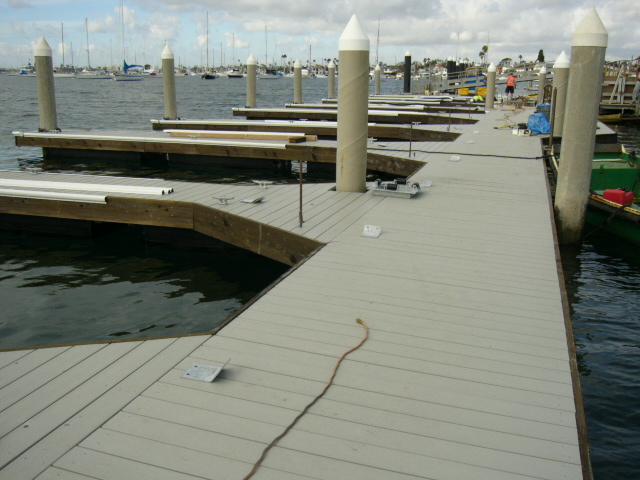 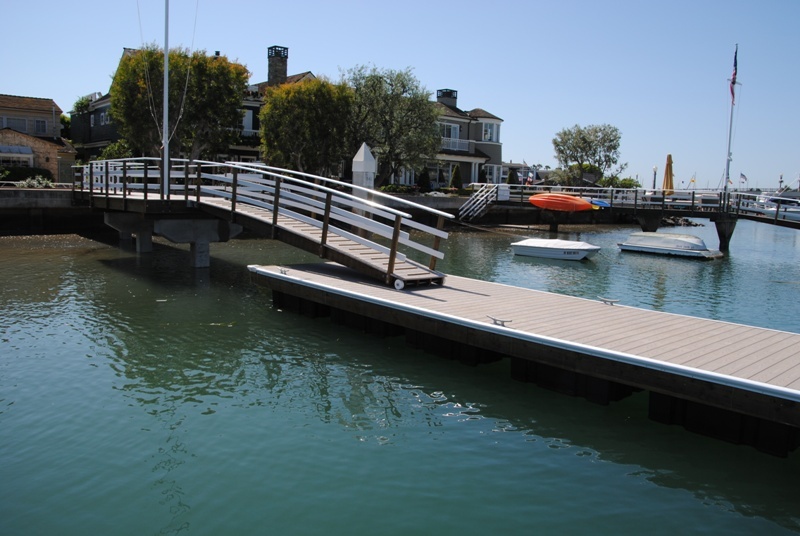 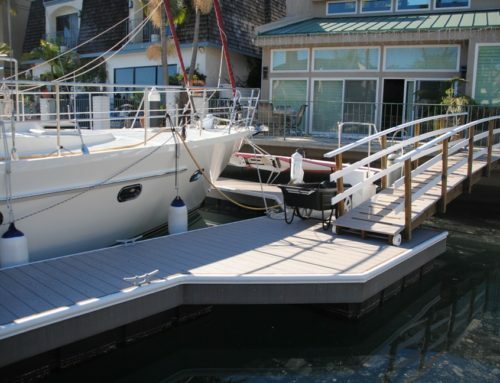 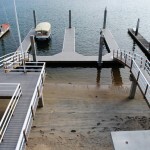 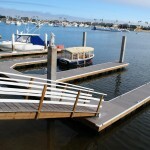 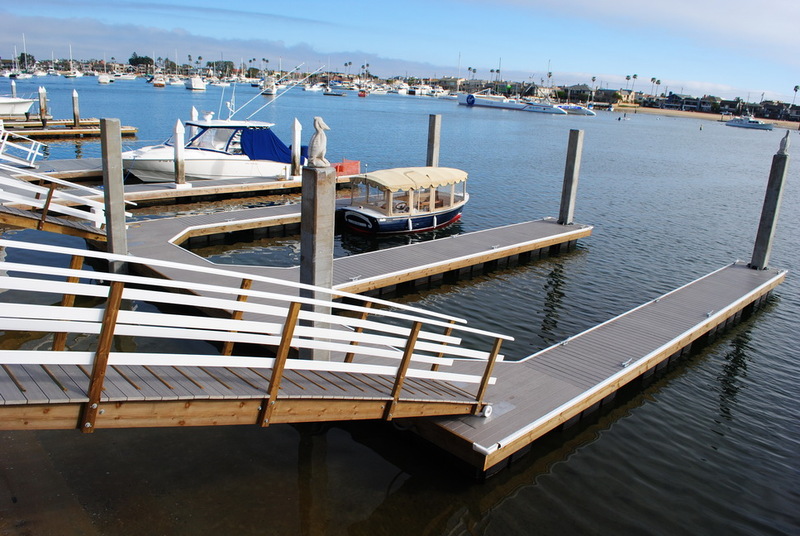 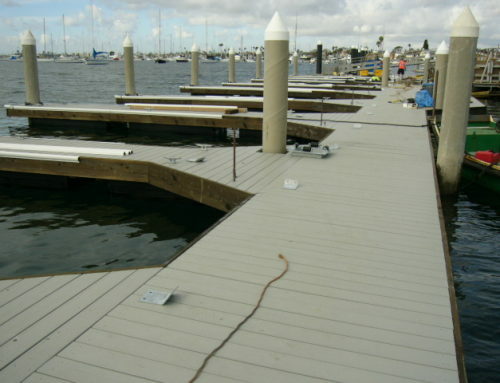 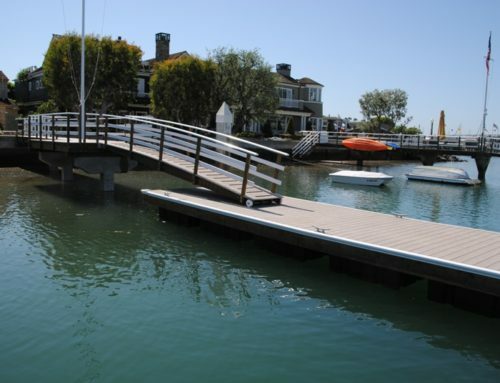 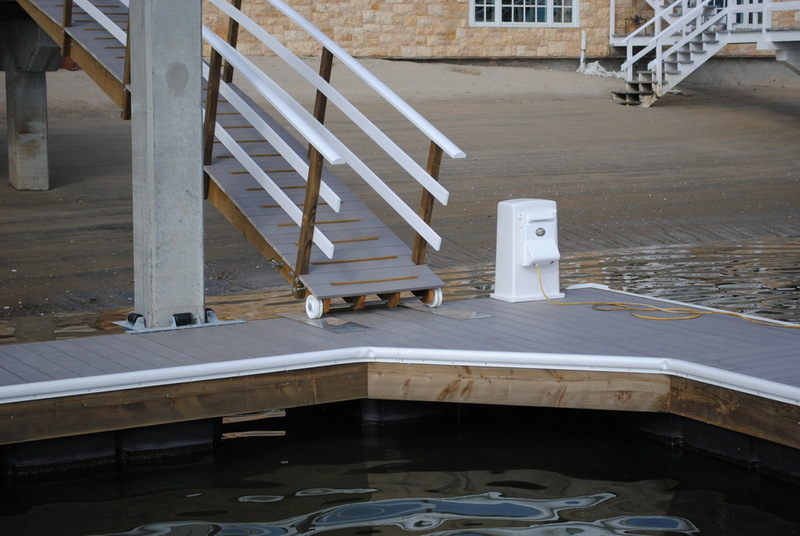 This is s neat set up of a 2 slip marina connected to two separate houses with a pier and gangway. 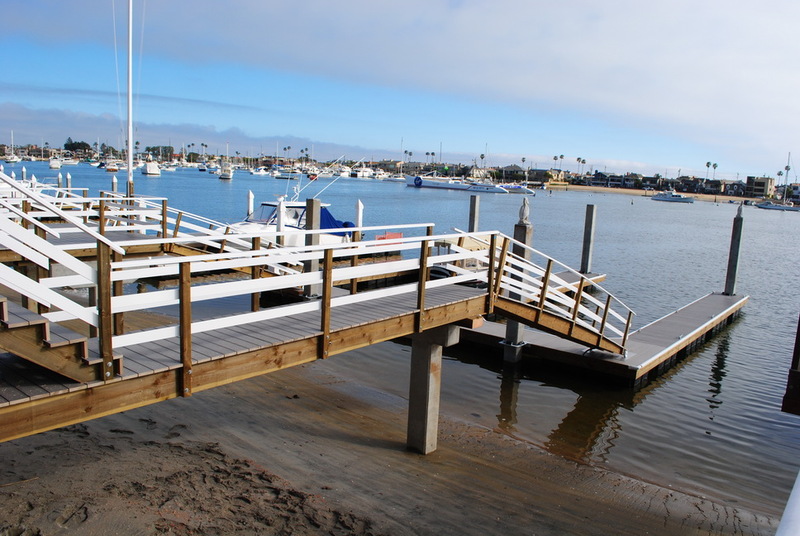 It is made with a grey TREX decking which is complimented by the rich color of the wood framing as well as the white painted railings. 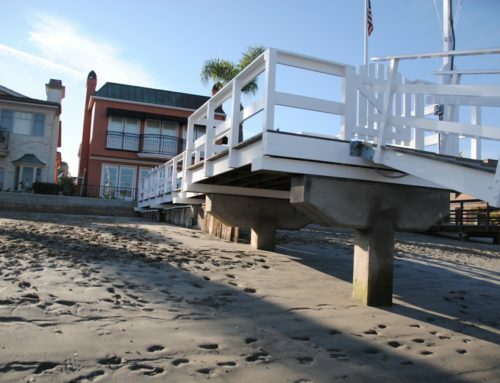 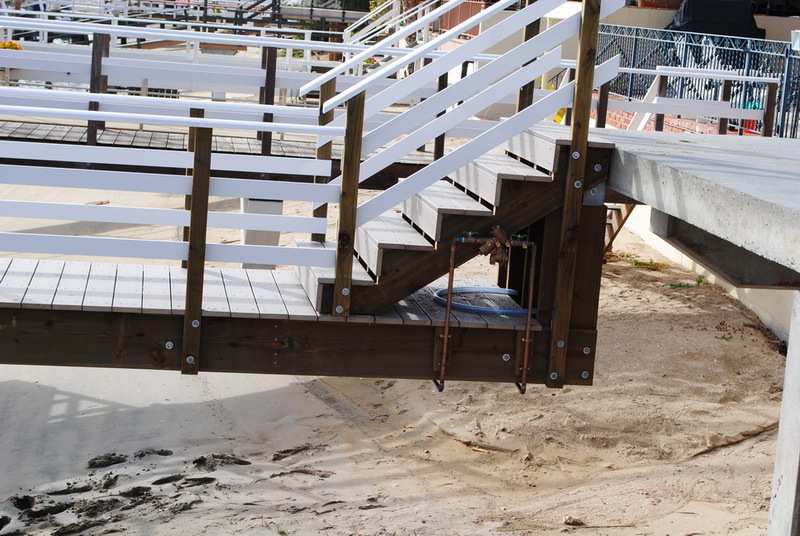 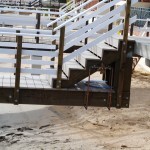 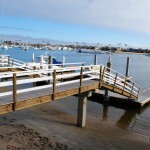 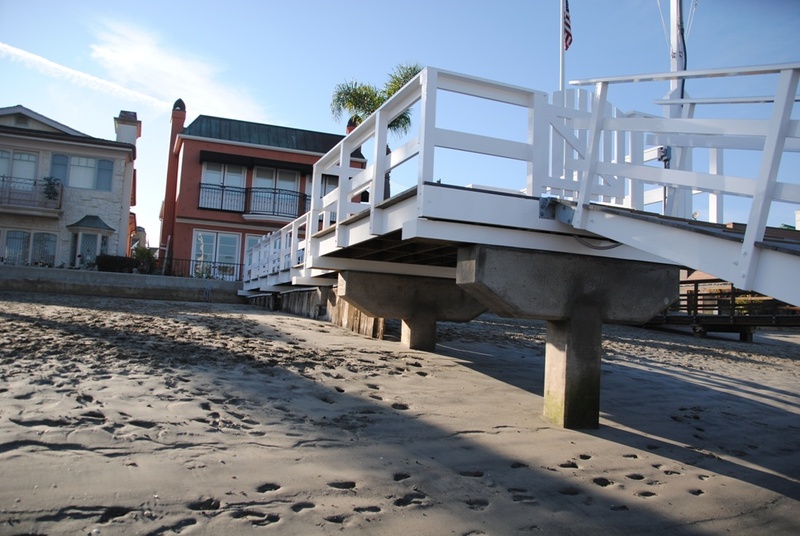 There is a unique constructed stairway as well connecting the porch of the house to the start of the pier. 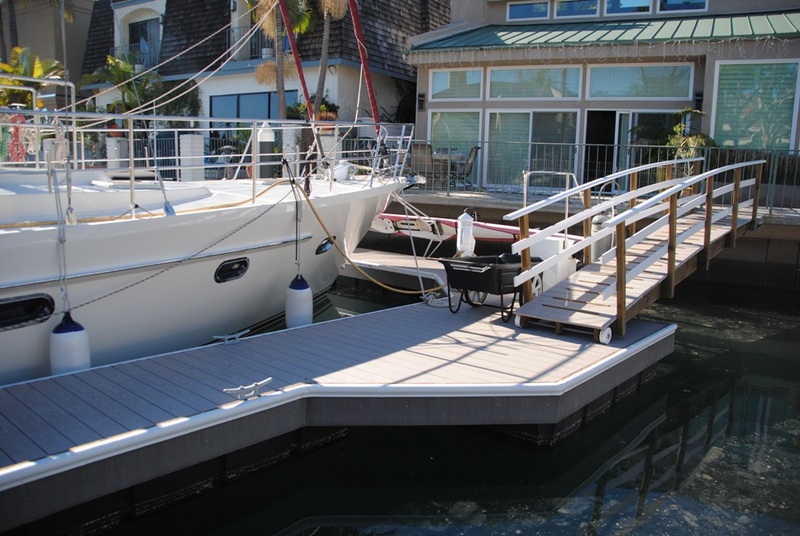 Both gangways are variations of “The Ensign”.